Take one step at a time: Each stage of IVF should be celebrated as you “jump through the hoops” as my hubby says. Each injection is taking you one step closer on your family building journey. Be proud of yourself for completing each step. This should also be remembered if treatment does not succeed. Try not to view any treatment as a failure, there is much you can learn, obviously easier said than done. Advice and suggestions are very welcome on this point and all aspects of treatment, I would like to build this blog post up into a practical and inspiring resource for all those about to commence treatment. Until then you can tap along with either of these Needle Phobia for IVF or EFT needles video. If you have not used EFT before then check out my blog and sign up for your free tutorial video. Numbing: I experimented with using numbing cream on my belly before doing injections, you can buy this from your local chemist. It means you cannot feel the needle going in. The same can be achieved by an ice cube on your belly for 10 minutes. I recommend putting the ice cube in a sandwich bag so cold water does not run down your belly! Get your partner involved: My husband prepares and does my injections for me. I feel happier knowing he is in charge and like the fact that he is involved in the process. 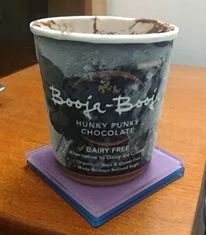 Rewards: Every evening after my injection I have dairy free chocolate ice cream as a reward. This has been so successful that now when I think ‘injection’ my mind thinks ‘ice cream’! We also watch an episode of one of our favourite comedies to get us laughing, currently Gavin and Stacey. Sniffing: My down-regulation has all been with injections, but some members have used sniffers (it depends on your hospital/clinic) and advise to have a glass of water ready following inhalation, oh and a piece of chocolate! Insert your own feelings and really revel in what that will feel like. For more on affirmations see Are you willing to love your future child unconditionally? I offer one-to-one support sessions in London and on Skype and have created an IVF hypnosis package which includes three MP3s and a video. To read more click here. A quick disclaimer: Embrace Fertility members and I cannot and will not take any responsibility for you. I/we are not medically trained and all information posted is purely to share personal experiences and to inspire. If you choose to make use of any of the information shared you agree to take full responsibility for your own well-being. EFT can be learned and self applied by almost anyone, and although no side effects have been noted, if you have a diagnosed psychiatric disorder you may want to consult the advice of a skilled EFT professional and your doctor, as you would with all therapy use. Thank you for sharing this! I noticed this post is a bit older so I was wondering if you’ve written the specific EFT script for IUI/IVF injections yet… I’m interested to see it, but will be checking out the recommended options you referenced above.